Over a month ago I made the decision to go gluten free (food and skincare) in a bid to see if it would help with my skin. I've had acne for years, through taking medication its under control yet my skin remains highly sensitive and break out prone. However, going gluten free was not an attempt to see if it would have an effect on my acne, what I wanted to see if it helped with the "unexplained" breakouts I would get. These are not the same as my normal acne, its more of a skin irritation, small little red lumps appear coupled with dryness/itching, every time I get these breaks outs I am unable to link them with a product so that's why I wondered if it was a reaction to certain foods. First of all I should mention that for at least the first two weeks I felt extremely irritable, had dizzy spells and trouble sleeping. Looking online I read that there was side effects and people spoke of withdrawal. Some say gluten produces substances that have an opiate (narcotic) effect. The severity of effect varies but its worth noting as its not something I had anticipated. Going gluten free has proved expensive and I have found a lot of the items inedible, I've not come across a gluten free cake/biscuit that I have liked (lets get our priorities right here). Lunch times are difficult, I take a sad little salad box into work with me and glare at people eating bread. Its also very restrictive on away days/work outings. I was hoping to be able to tell you that I feel less tired, more healthy and have lost weight, sadly not, I have lost a meagre 2 pounds and still feel as tired as ever. There are some positives, I have not had any heartburn nor any bloatedness. I have not had any of the unexplained breakouts, though I'm not sure this can be attributed to gluten or its just a coincidence I've not had any for this duration. I'm not completely sold on if this is right for me, I'm going to try this for another month just to see if the longer time will reap more tangible results but although ultimately I might not carry on being gluten free, I will definitely be reducing my gluten intake. 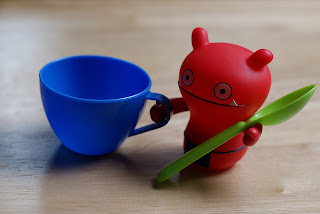 If you have managed to read right to the end here's this little fellow for randomness sake and because I couldn't bring myself to do a post without a photo. 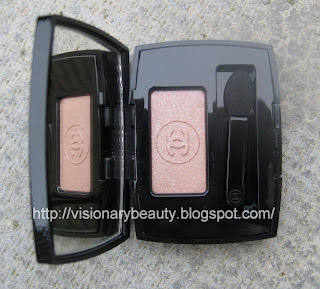 You'll be forgiven for not being being familiar with the RBR eye gloss, although they have featured in some of the beautiful RBR seasonal looks, rarely have I seen them mentioned elsewhere. The gloss is wax free and water based and has a high gloss/wet look finish. 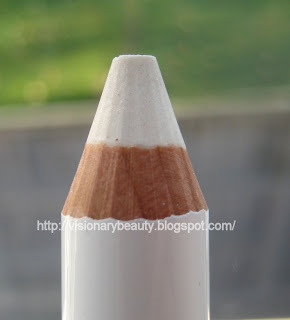 I have the shade Angel's Play (£27), which is clear in colour, it comes in a tube with a brush applicator. Swatches below to show the change with the gloss added L-R: Fire-Tailed Sunbird shadow with gloss added, Fire-Tailed Sunbird on its own , eye gloss on its own, Wishing for Wings loose pigment on its own, Wishing for Wings loose pigment with gloss added. Below I have used the gloss mixed with RBR shadows and loose pigments. I've not applied it as neatly as I should, nor have blended as much as normal, but I was hoping to show the effect of applying a bit of colour and a larger quantity of gloss. 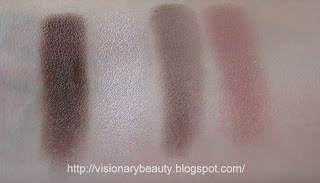 The shadows I used where L-R: Spun From Sunny Seawater loose pigment, Eaten All The Cherries loose pigment, Abyssinian Catbird shadow, Bejewelled Skylark shadow and Long-lasting Eye Pencil Lola to line. 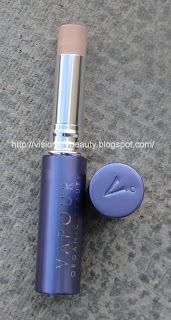 This gloss melds the shadows together, the colours take on a different hue, the finish has that extra gleam. It doesn't feel sticky on the skin and I don't get any creasing used over an eye base, I also don't find the mixture of gloss with powder to have an adverse effect on the shadow smoothness and blendability. 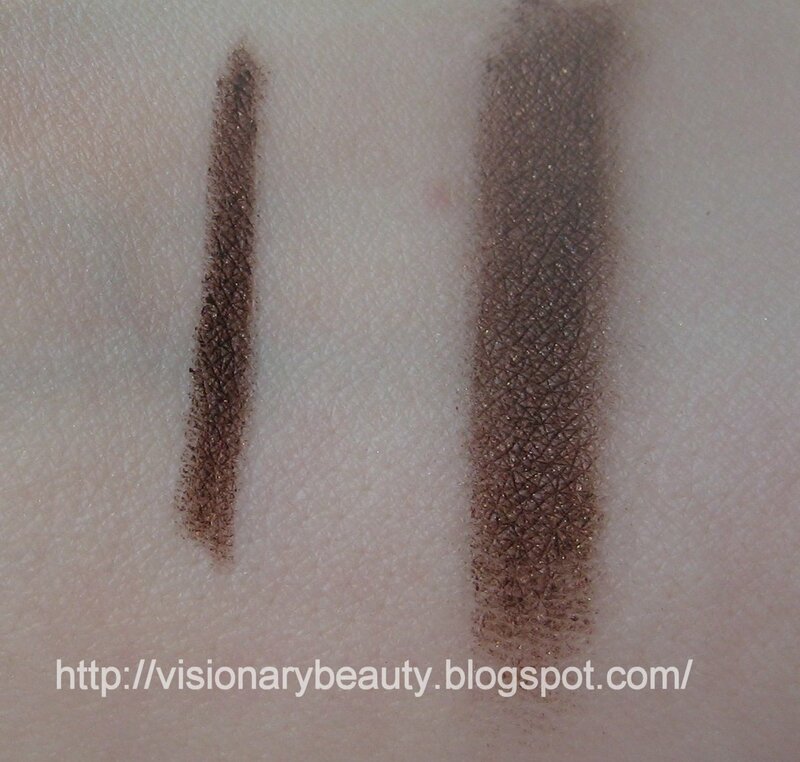 Its also nice used on eyebrows mixed in with your normal brow product as it locks the colour on and makes it look more sleek and its also pretty used under the brow bone to give that touch of shine/dewiness. Disclosure: I was sent the eye gloss and Long-lasting Eye Pencil for free (I've recently reviewed the pencil here). 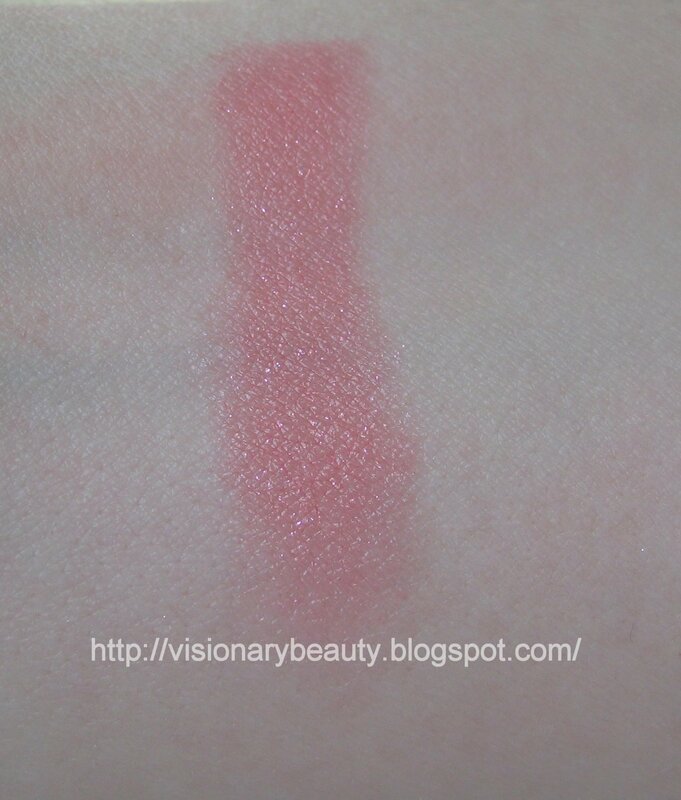 Les Bois de Rose (£37) was a colour combination I had completely disregarded until I swatched it. I'm someone who has the fear of that sickly pink eye look, so I usually avoid shadows in the pink/rose family. The palette contains a satin finish taupe with a slight mauve tone, frosty white pink, rich slightly shimmered plum chocolate and a cool rose with subtle micro glitter. The shadows are quite smooth, easy to blend and have great pigmentation. Though I use the rose shade in moderation and just a dash of the highlighter shade, the taupe and chocolate are what made me buy this palette. 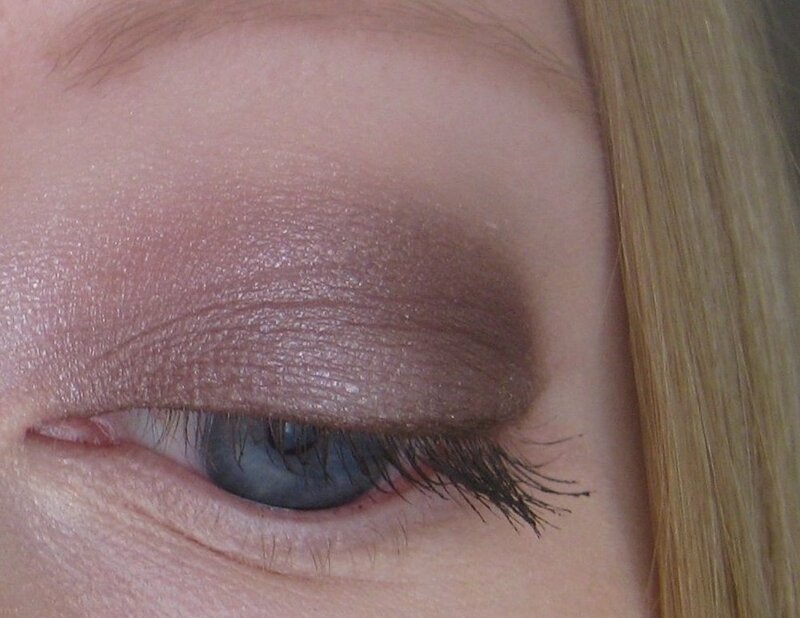 One of the best attributes of Guerlain shadows is how easily they blend with each other and that it what makes the rose and highlighter shade work as the colours really layer and coordinate well to create a soft smokey mauve look (not a pink eye in sight). I bought the 'In Bloom' collection as it looked like a great way to try a variety of the products from the brand. The kits come in four options (Fair, Light, Medium and Dark) and there are also two options for the lip stain to choose from. 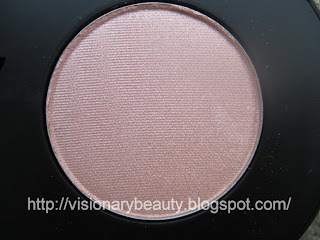 Pressed Eyeshadow in Innocent (soft natural pink with a subtle shimmer) - 2g: The pressed shadow has a smooth texture and lasts well with an eye base. Loose Eyeshadow in Marrom ( fawn brown shade with a slight bronze tone and a wearable shimmer finish) - 1.3g: The loose shadow has really good pigment and it adheres well to the lid unlike a lot of other loose shadows on the market. It lasts the day with a base with no colour fade or creasing. 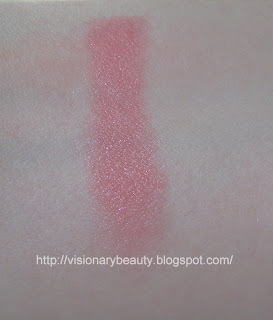 Creamy Lip Stain in Coral Reef ( metallic red berry)- 4g : It feels comfortable on as its reasonably moisturising, though it does have quite a heavy feel. 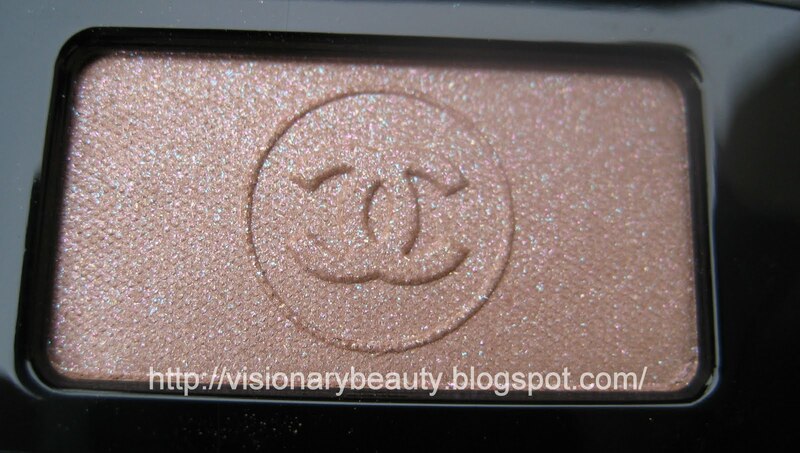 Although I am not a fan of a metallic finish this really works well with the colour. Finale Finishing Powder in Branca (White) - 1g. 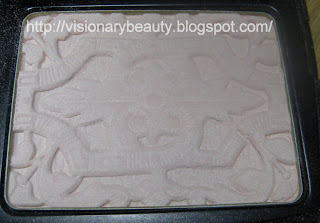 This has a fine texture and is not drying, though it keeps my shine at bay it might not be enough for really oily skin. 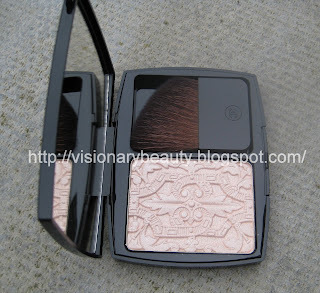 Saude Pele Radiance Booster - 1g: The colour is a slightly yellowed gold, it dose add a pretty glow to the skin but the colour is far to warm for my cheeks so I use this as an eyeshadow. 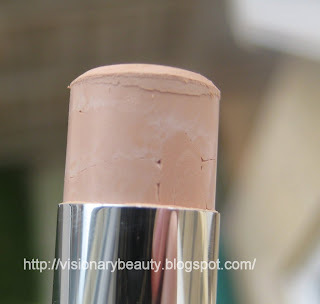 Concealer in Light - 4.3g :This has a lovely cream consistency and I can use it all over as a foundation as it blends in really nicely on the skin and doesn't look cakey at all. 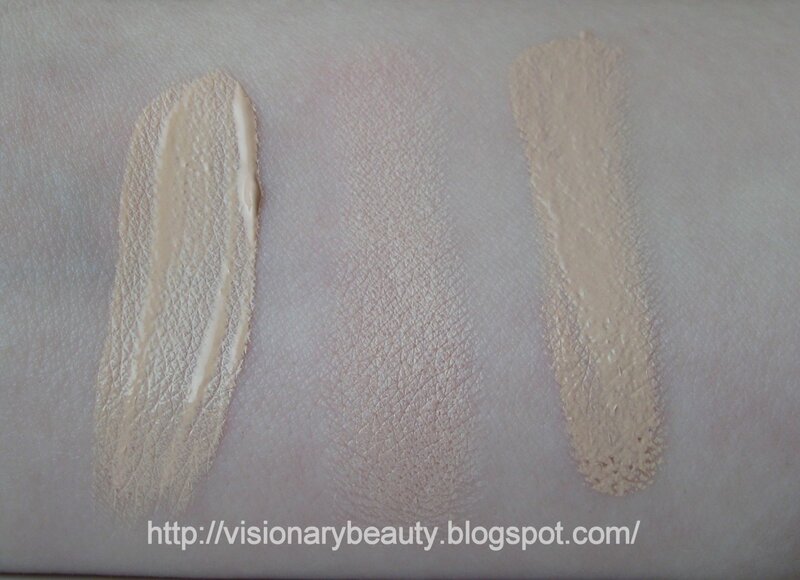 The coverage is medium and it lasts quite well. 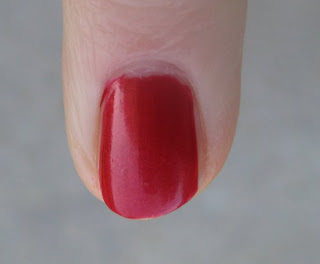 The problem for me is that its too dark and probably best suited for a NC/NW20. 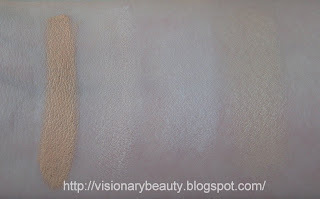 Veludo Velvet Foundation in Creme (Cream)- 1g : The colour is a great match for my very pale cool toned skin.The foundation does not contain Bismuth Oxychloride (which makes my skin very itchy) nor does it contain Titanium Dioxide & Zinc Oxide (so it won't give that white cast in photos). 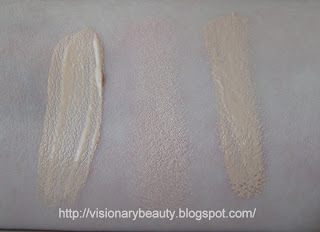 One of the other attributes is it doesn't look dry on the skin and gives a slightly dewy look. 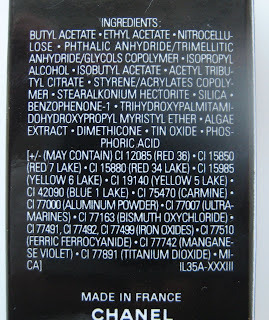 However, I do find the coverage sheer-medium and I need more as I have quite a lot of discolouration, I'm also not sure that my sensitive skin is reacting too well to this, it might well be the cornstarch or one of the essential oils. 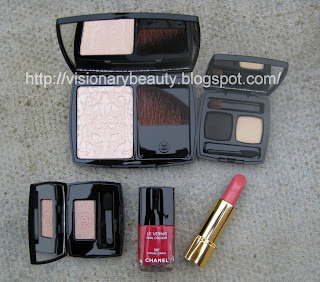 I think this is a great selection of products at a really good price (I think the pressed eye-shadow and lip stain are full sized, they both normally cost £18 each). 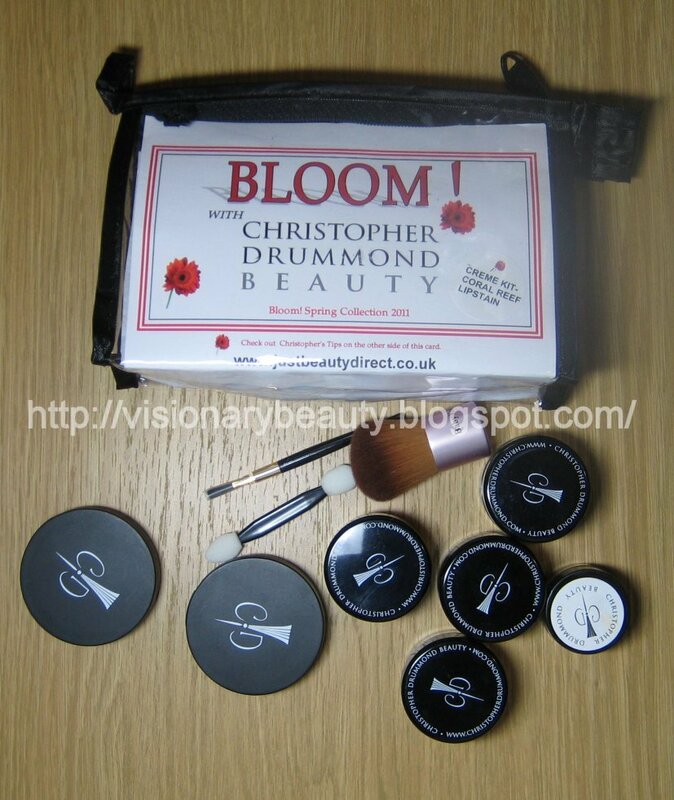 I don't hear a lot about Christopher Drummond but I am very glad I decided to buy this and if the range has tweaked your interest I think these kits are a great introduction. 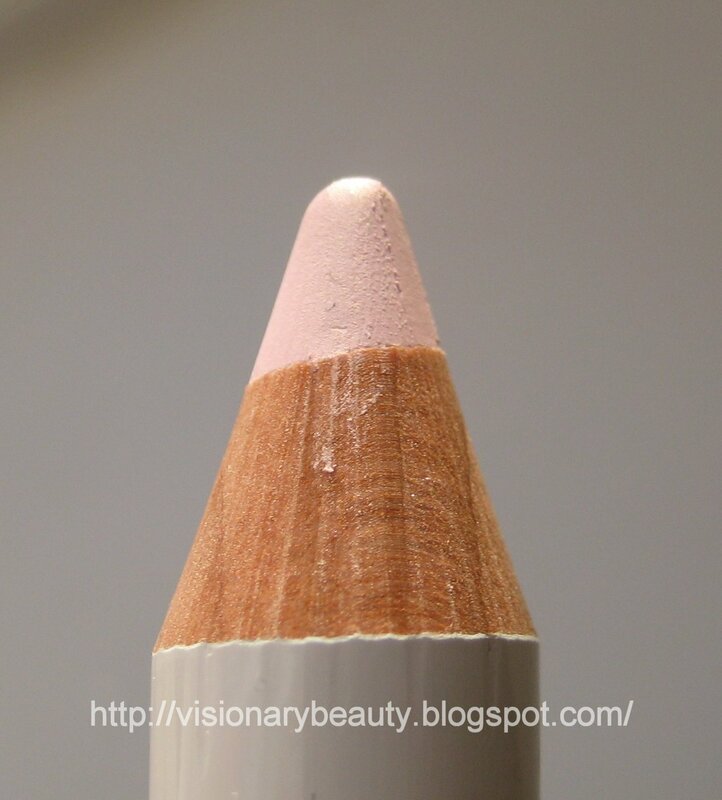 Rouge Bunny Rouge brought out a new type of liner this year in the form of the long lasting eye pencils (available in 3 shades). 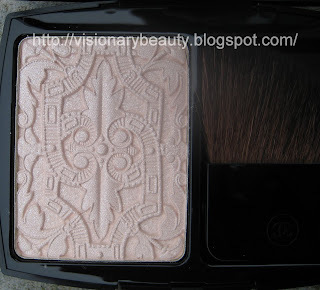 The texture is creamy so glides on with no tugging. It sets quite fast, though if I move quick I can buff this out to use as a lid shade. 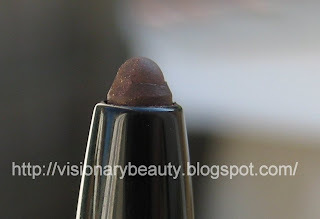 The liner feels very comfortable on (non drying), stays put all day with no colour fade. Another bonus is that its not difficult to remove like a lot of other long wear pencils on the market. Its one of those twist mechanism ones, like many of these types it doesn't come with a built in sharpener. 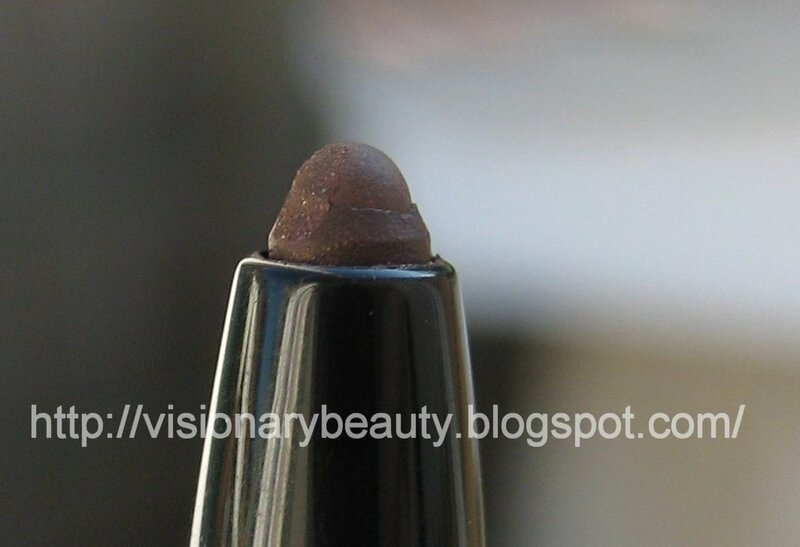 Though not a necessity I do prefer to have a sharp point with my liners. 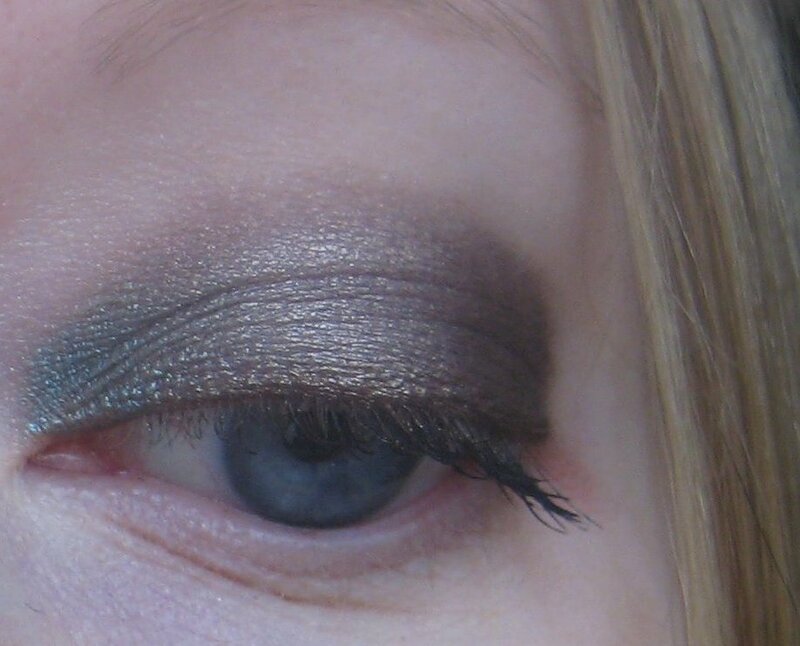 The shade Lola (£22) is a stunning, rich coffee bean with golden shimmer. 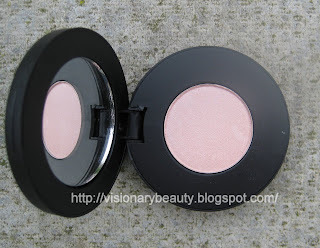 Next we have the Eyes Wide Open Brightening Liner Duo (£22.50). 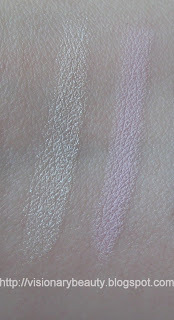 It contains a brightener on one end (matte cool pink) and highlighter on the other (glistening pearly white). 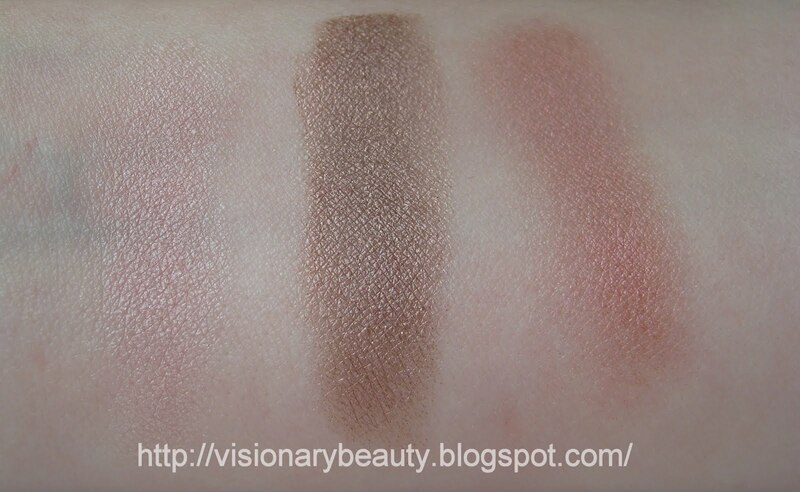 Both shades have good pigment. The pink works well on the waterline to make the area look less red and the pearl white is good under the brown bone, inner and outer corner of eyes, I've also used it sparingly on top of the cheek bone. I am really liking the texture of this, creamy yet not slippery and they don't go on chalky or look harsh. 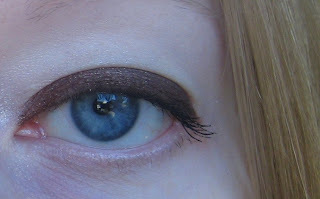 I've been using both liners together, Lola on the lid with the white and pink of the brightening liner on the rest of the eye area, quite a contrast but I really like it, its very quick but gives quite a strong look. Disclosure: I was sent these items for free. 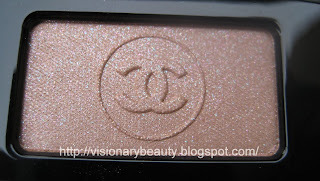 As promised here is a picture and swatch of all my Chanel Rouge Coco Shines. I think its taken me well over a month to get a photo I was happy with, I have deduced that taking a picture of this amount of lipsticks and trying to get them all in focus is very difficult so I will have to concede that this is as good as its going to get. I bought all of these myself. 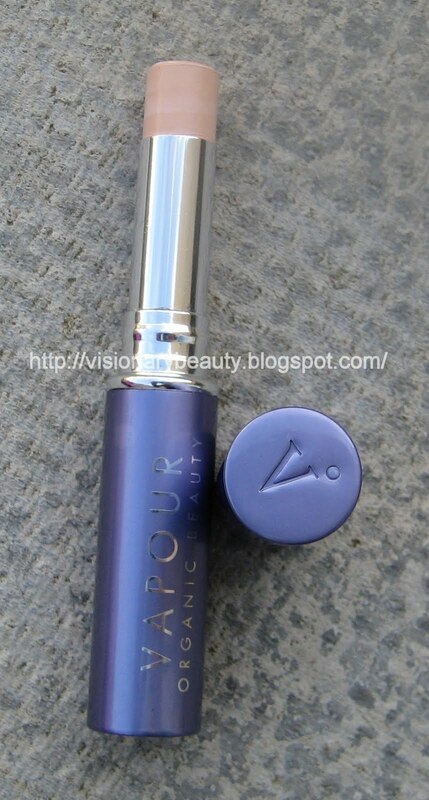 Vapour organic is a chemical free modern range of cosmetics. 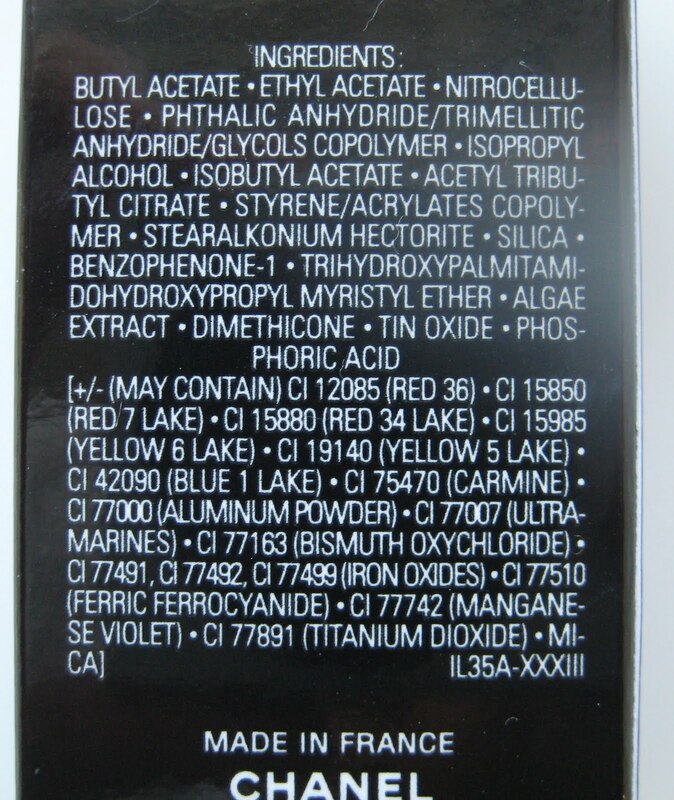 The products contain a minimum of 70% certified organic ingredients (the remaining 30% is mineral pigments/natural vitamins). When I started to read about the company it become apparent how prevalent their ethical values are, from how the products are sourced and produced right through to the packaging. 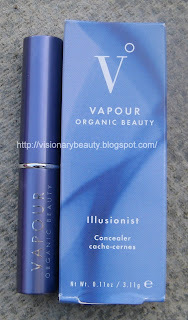 The thing that immediate hits me about the brand is that it doesn't have the same look to it as a lot of organic brands, unfortunately I think the majority of organic cosmetics are not on par with packaging or product excitement, Vapour on the other hand looks sleek and the products seem modern and interesting. I bought the Illusionist concealer (£20) . 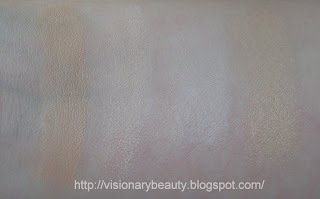 Its very creamy, though not greasy, the finish is definitely luminous, indeed the Vapour base range seems to be very much about light and luminosity. This gives light coverage, its not enough for my dark under eye area but works well on redness and I actually mix it in with my foundation as I like the finished look, I do think it will be those with skin on the dryer side who will benefit most from this. 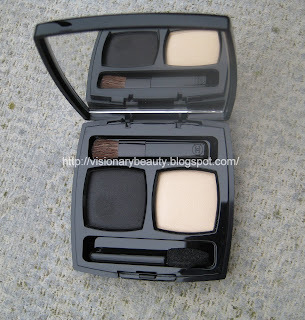 I really like this as an enhancement to my foundation and on the outer corners of my eyes and will re-buy. I'm very interested in other items from the brand, though its product availability seems very limited here in the UK. Although I am not a fan of straight up pink lipsticks I couldn't resist the Enivrée Rouge Allure from the Holiday collection(£24). What makes this a bit special is the pink microglitter, it just gives it that little bit of sparkle for interest. 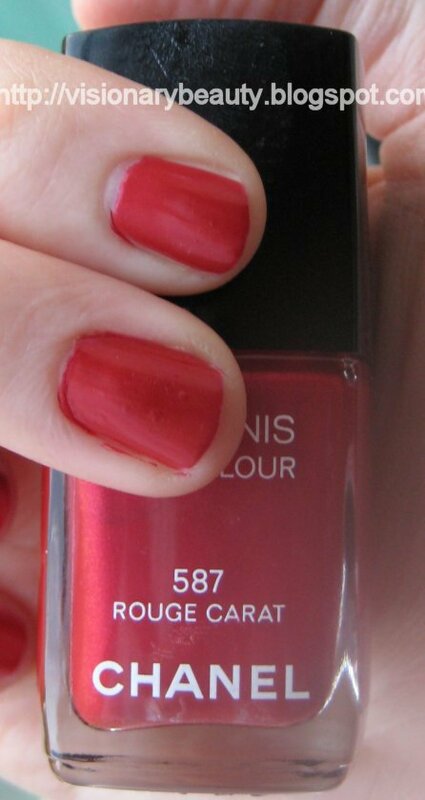 Rouge allures have good pigment and are creamy, whilst not drying I don't find them moisturising. The microglitter in this shade has no uneven or gritty feel to it, I really pleased with this, its just a very pretty, girly sort of shade. This applies really smooth and the coverage is so good that you could get away with wearing one coat. However this is the one item from the holiday collection I regret buying. 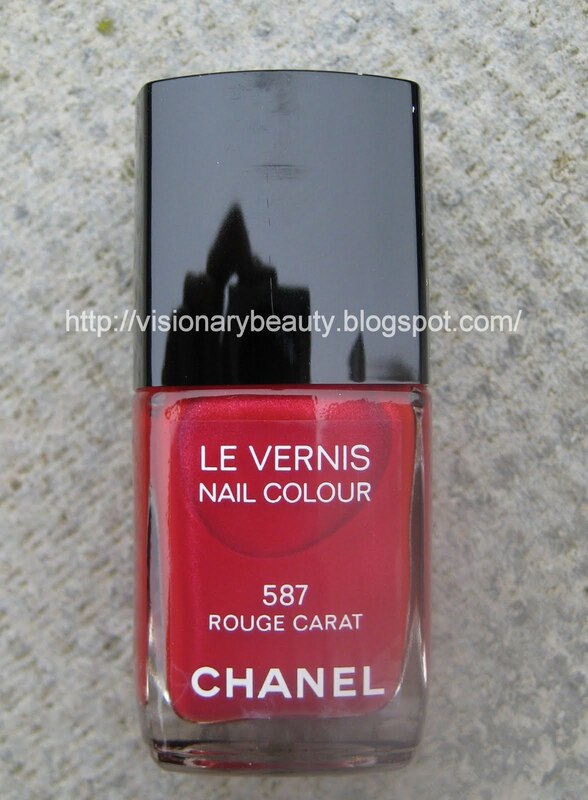 I find Chanel polishes extreme chippers and I can't even get a days wear from this. Even with a base and top coat I struggle to get two days wear. 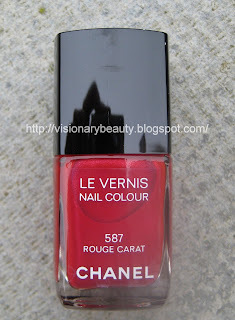 Chanel make beautiful nail colours and I will put up with the chipping problem for a unique colour, however whilst I really like this colour I suspect its quite dupable. Chanel often brings out show pieces and there is no denying the beauty of the Lumière Sculptée de Chanel Highlighting Powder (£46). Beautifully embossed with a twinkly overlay this was always going to be a product that demands attention on looks alone. 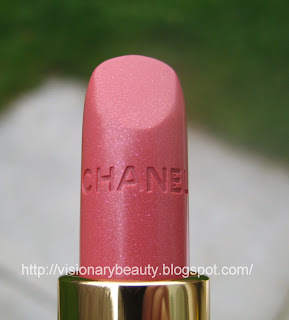 The over spray quickly wears off and this applies as a neutral slightly champagne pearl white. 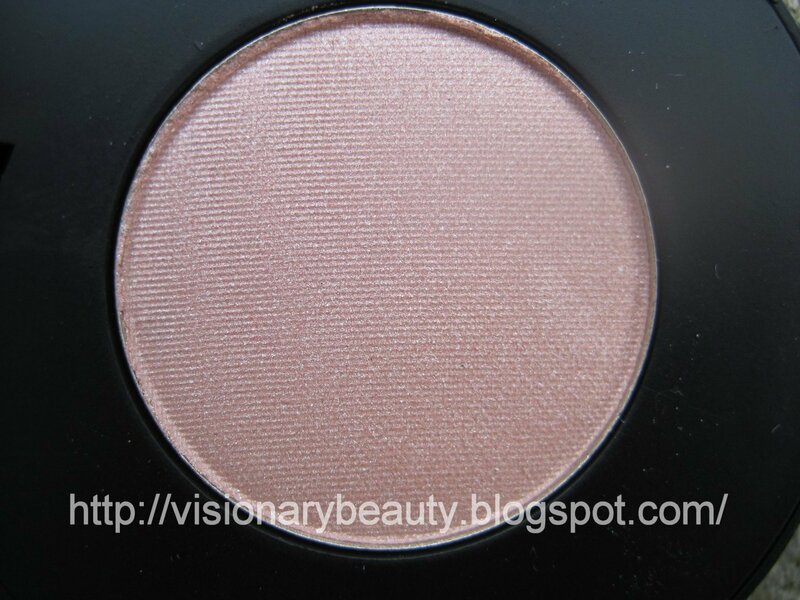 The finish gives a subtle luminous glow, there is no frost just a gentle shimmer. It feels very smooth and soft, it blends nicely and I find it lasts well. 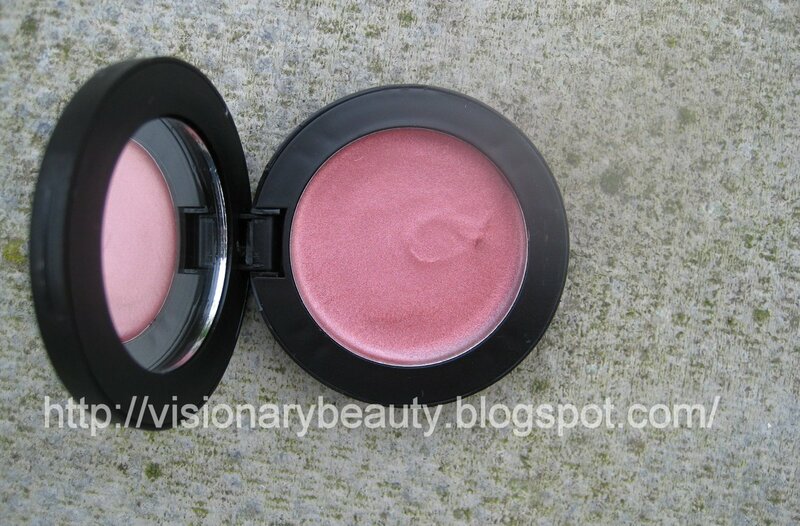 The majority of my highlighters are more of a warm glow or pinky whites so this gives me a different look. 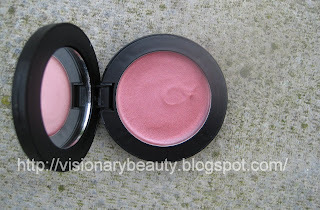 Overall this one was a pleasant surprise and makes a very pretty subtle highlighter that captures the light beautifully. 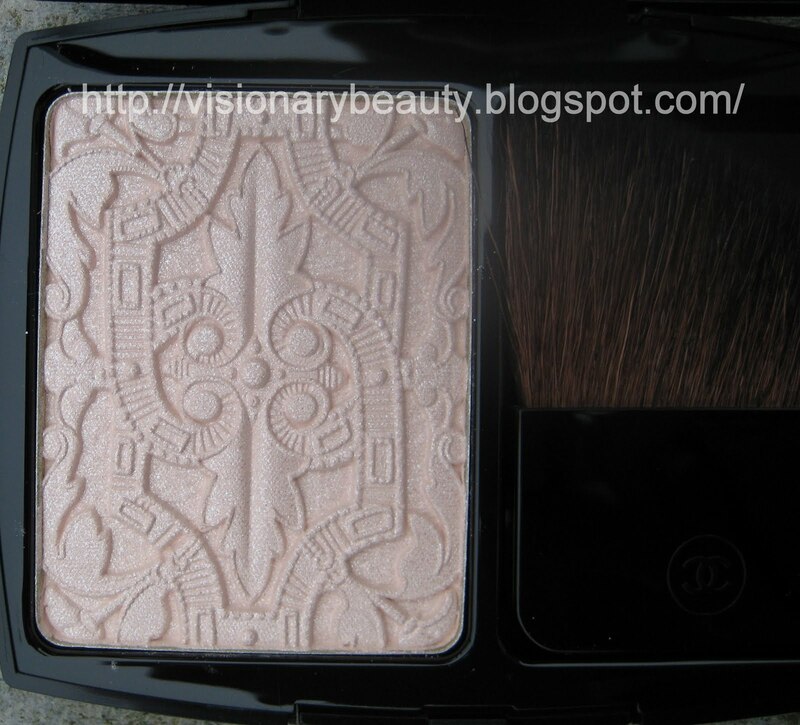 However I do wonder how well this would fare on darker skintones, I'm a shade lighter than a MAC NW15 and on me this shows up noticeable lighter than my skin so I do wonder if this would look chalky on darker skin than mine. I actually picked up more than I intended to. Chanel is a brand I have made a lot of expensive mistakes with but I'd say all but one of the items are winners for me, so first lets begin with the eyes. 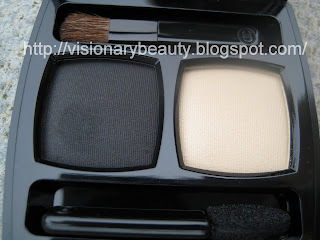 Noir-Ivoire Eyeshadow Duo (£30) consists of a sheer shimmered, luminous yellowed ivory and a seemingly matte black (it looks matte on application but if you look really closely it has a tiny bit of sparkle in the pan). 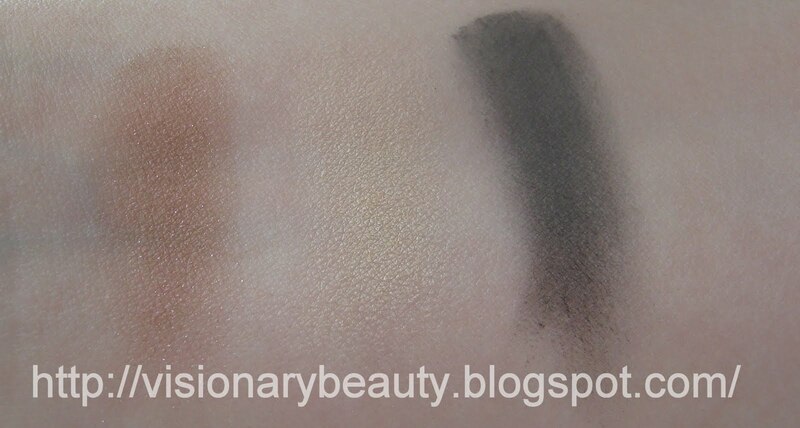 Its a nice basic pairing, you can either go natural; black to line and the lighter shade on lid or smoke the black into the crease for a more dramatic look. 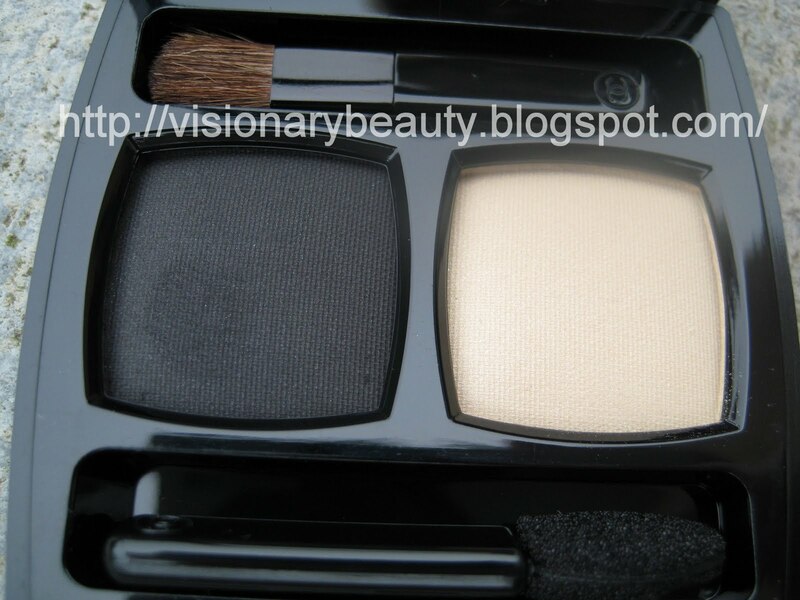 The lighter shade has a really nice brightening glow about it and the black, whilst very pigmented can easily be blended out. 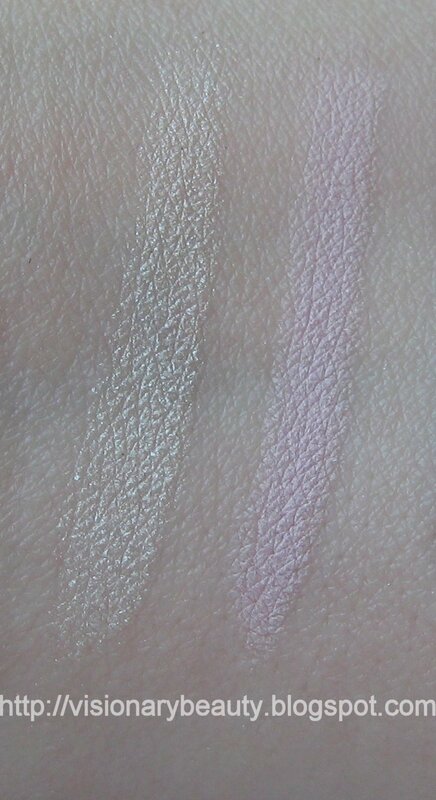 The duos are smooth, have good pigment and wear really well. 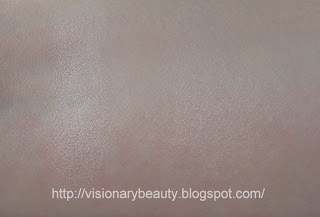 Beige Lamé (£21)is a neutral beige containing lots of different coloured micro glitter. Its a great everyday, throw on when you are in a rush type shade, but the sparkle just gives it that little bit extra. 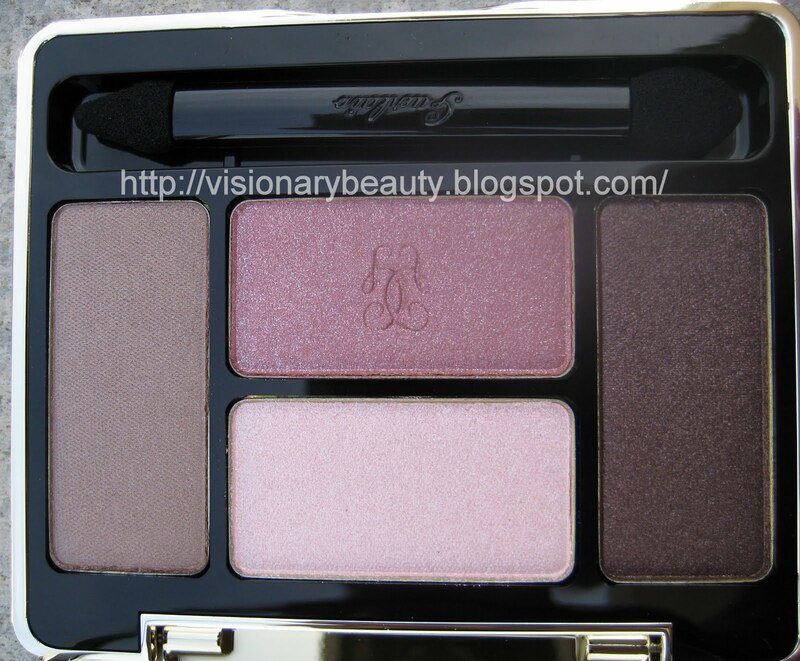 I find the Ombres Essentielle’s formula somewhat inconsistent, you can get a smooth, creamy finish or dryer, less blendable ones like Fauve. Beige Lame' is one of the better ones, its smooth with good pigment and blends really nicely. I'm extremely pleased with both of these, I had initially disregarded Noir-Ivoire seeing pictures of it online but it was upon swatching that I knew it had to come home with me. 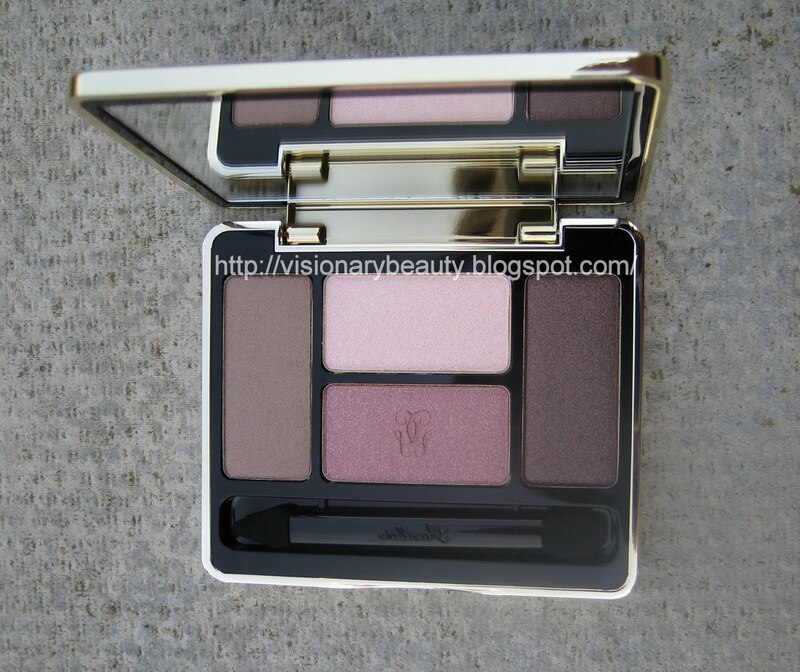 So we have a success with the eyes, I'll let you know about the other items I bought from the collection soon.